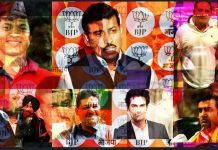 ThePrint takes a look at some of the prominent sportspersons who tried their luck in politics, and won or lost a Lok Sabha seat. From joining the war cry against Pakistan to attacking Delhi CM Arvind Kejriwal, Gautam Gambhir had long made known which way the wind was blowing. 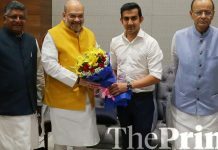 Gambhir who joined the party in the presence of union minister Arun Jaitley may be fielded from the New Delhi constituency, currently represented by Meenakshi Lekhi. Gambhir played in 58 Tests between 2004 and 2016, scoring 4154 runs at an average of 41.95. 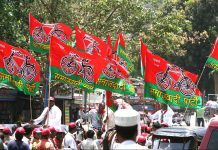 Gautam Gambhir had tweeted after the MannanWani encounter that the radicalisation of educated youth represented a failure of the political class.